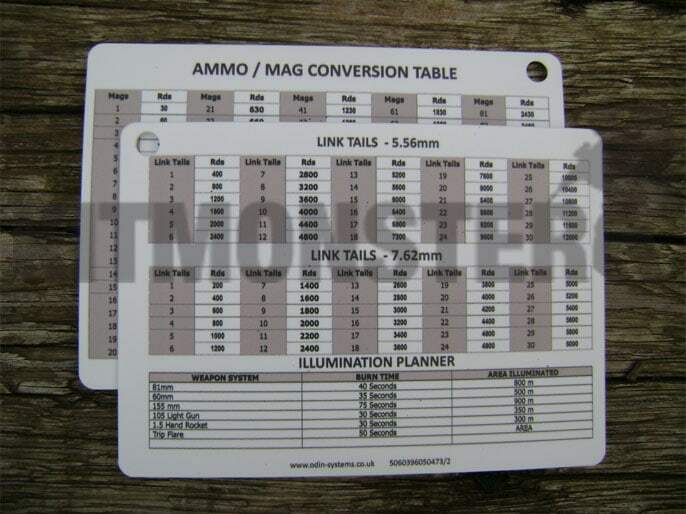 Double sided plastic slate card with ammo to magazine conversion table, link tails & illumination planner state . A6 size, section and platoon level card. Ammo conversion on one side, 7.62mm and 5.56mm link, and illumination plan on the other. White card with black printed information. Ring or lanyard hole in corner. Multiple views shown, single card supplied.